New and notable Blu-Ray and DVD releases. Still smarting from the critical and popular failure of Pat Garrett and Billy the Kid, notorious cinematic maverick Sam Peckinpah turned in what is perhaps the angriest and most nihilistic film of his career. Bring Me the Head of Alfredo Garcia is a ferocious howl of a movie, the artistic equivalent of throwing your hands in the air and asking if anything is worth it. In the film, Warren Oates plays Bennie, a despondent bartender who sets out to Mexico with his on-again/off-again girlfriend in order to answer the call of a local kingpin who issued a hit on the man who impregnated his daughter. His girlfriend, a local prostitute with whom he has been unable to emotionally commit, tells him that Alfredo Garcia is already dead, hoping to leave the quest behind and run off into the sunset together. But Bennie refuses, doggedly pursuing the bounty that he believes is their ticket to happiness. It is a quest that will leave dozens of bodies and collateral damage in its wake, and by the time Bennie finally gets his quarry, the losses he has incurred makes him wonder what the point of it was to begin with. 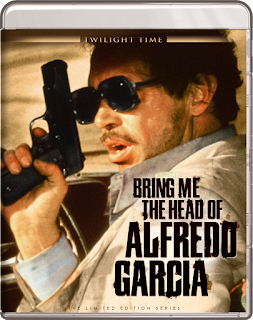 You'll be hard to pressed to find a film more cynical or bleak than Bring Me the Head of Alfredo Garcia. And indeed, it is often an oppressive, depressing experience. But beneath the raw, gritty exterior conjured by Peckinpah is a real existential crisis that is one of the most remarkable examples of a filmmaker grappling with his own demons on screen. Its villains are corporate money men, stand-ins for producers and fascists, embodied by the Nixon-loving suits who send Bennie on his suicidal quest. Peckinpah tackles head on the soul-crushing effects of violence, but also the body-count of his own career. Was it all worth it? What did it all mean? Is there a point to any of this? Peckinpah arrives at no answers, but the film itself stands as a bitter testament to the man's genius. 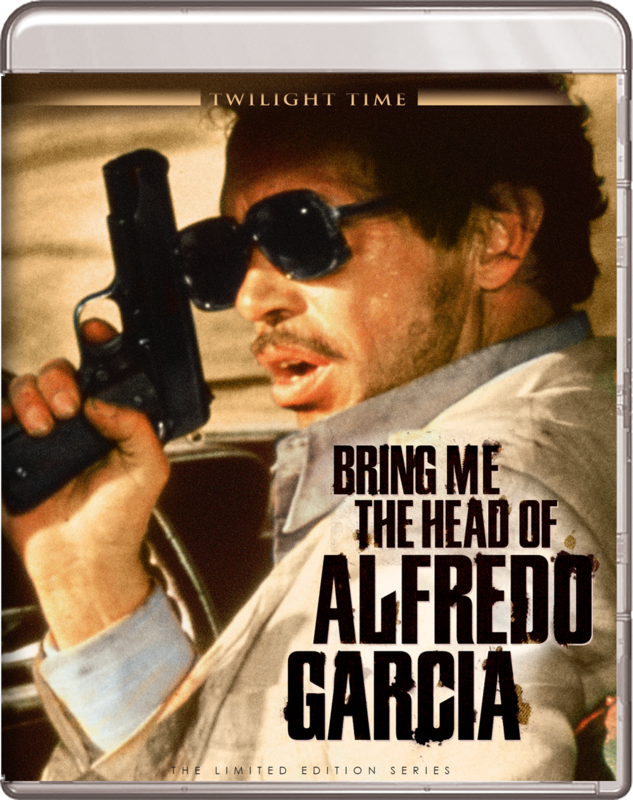 Peckinpah may have wondered if it was all worth it, but the mere existence of Bring Me the Head of Alfredo Garcia, the filmmaker's most pure and personal work, proves that it absolutely was. Spencer Tracy stars as Matt, the grizzled patriarch of the Devereaux clan, a family of ranchers whose land comes under threat by a local mining company whose mill is polluting the streams and killing the Devereaux cattle. Enraged, Matt leads a posse against the mining company, leading to a generational clash that threatens to sink both his fortune and his family. Edward Dmytryk's unassuming direction, supported by Joseph MacDonald's breathtaking Cinemascope camerawork, give Broken Lance a kind quiet dignity, making a character-driven western where the action takes a back seat. Perhaps most interestingly, however, are its undercurrents of racial tension, embodied by Matt's Native American wife (an Oscar nominated Katy Jurado), and his mixed race son (Robert Wagner). It is racism towards the Devereaux family that brings the tensions to a boil, an almost radical theme for 1954, and the film also throws in an environmental message to boot (pollution lights the match, racism throws on the gasoline). It may come as no surprise, then, that Dmytryk was part of the original "Hollywood 10," although he later named names before the House Un-American Activities Committee. However, it is Tracy's ferocious performance that really carries the film. Tracy is a force of nature here, seemingly embodying the volatile yet hopeful spirit of the American West all at once. He's as tender and loving to his wife as he is hard on his sons (one minute he's whispering sweet nothings to his wife, the next he's beating his disobedient sons with a bullwhip and threatening to hang them for cattle rustling). 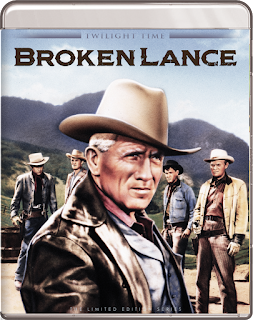 Broken Lance is very much a product of Hollywood studio system in the 1950's, but it's also a testament to just how good that studio system could be. 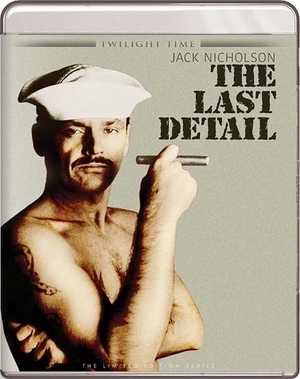 Two sailors (Jack Nicholson and Otis Young) tasked with escorting a young, naive recruit (Randy Quaid) to military prison, decide to give the boy one last hoorah before he goes away for eight years. It turns out, the boy's sentence is a monumental injustice - eight years for attempting to steal $40. Therein lies the core of Hal Ashby's wise and wonderful, The Last Detail, a kind of world-weary comedy that barely seems to muster the energy to give a resigned chuckle at the unfairness of the ever-present system. Released at the tail-end of the Vietnam War and the beginning of the Watergate scandal, The Last Detail is filled with disillusionment, as Americans were facing a world in which they could no longer trust the institutions they once revered. The film is drolly funny of course, and Nicholson's lively performance is one of the finest of his distinguished career. Ashby gave the film a kind of downbeat naturalism, from a nimble screenplay by Robert Towne (Chinatown). But despite its comedic prowess, a kind of melancholy hangs over the entire affair. Even as the three men live it up with booze and women, getting into scraps and raising general hell, we know where it all ends, and we don't understand it anymore than they do. These are men who have given their lives to the Navy (although they couldn't quite tell you why), but are increasingly baffled by a soulless system in which they are merely pawns. It's a fascinatingly layered comedy, one whose befuddlement at the human condition reflected the frustration of an entire nation. It's one of the great, unheralded masterpieces of the 1970's, subtly defining the decade with a wry, knowing smile. 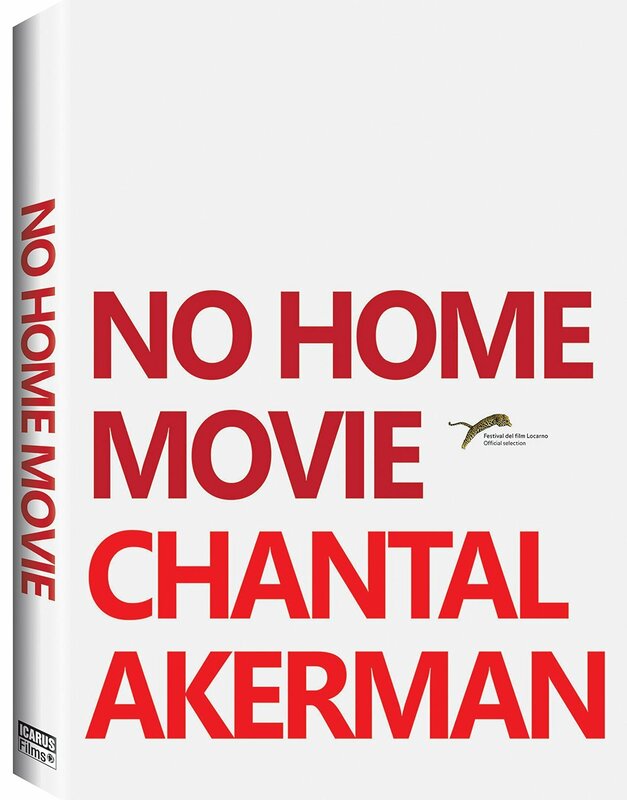 As Chantal Akerman's final film, No Home Movie takes on a kind of double poignancy - not only is it a chronicle of her mother's last days, but her own last days as well. Unfortunately, the film itself is a bit of a slog, comprised of a series of shots from inside her mother's house, quietly eavesdropping on her day-to-day activities. The scenes lack context and therefore emotional resonance, even if the film's fly-on-the-wall verisimilitude has a kind of mesmerizing quality. Still, the film's sense of authenticity is offset by its tedium. This may not be a typical home movie, but even if Akerman's goal was to capture the movements of reality that make up a life, it often feels like the leftovers from a home movie's cutting room floor. Disgraced former Congressman, Anthony Weiner, allowed a documentary crew to follow him during his ill-fated, 2014 campaign for mayor of New York. The result wasn't quite the comeback narrative he was hoping to capture; instead, Weiner is a fly-on-the-wall portrait of a train wreck in real time, chronicling perhaps one of the most jaw-dropping examples of baseless political hubris of the modern era. Why did a promising, charismatic young politician who seemed to have everything going for him, throw it all away for a few online kicks? And why did he do it again after his public mea culpa in the middle of his much-heralded come-back? The filmmakers offer no answers, they don't even give him any rope with which to hang himself. They simply step back and observe while he fashions his own rope, throws it over the gallows, and leaps off the scaffolding all on his own. 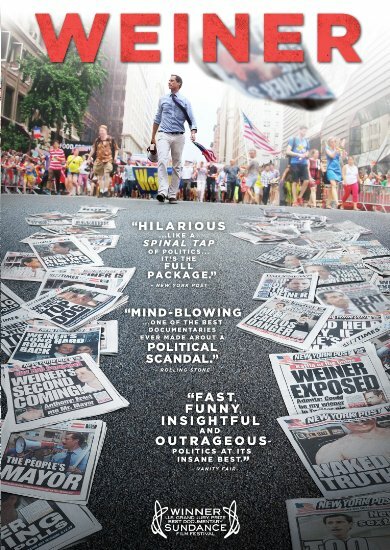 There's no way the filmmakers could know that Weiner would once again become embroiled yet another sexting scandal on the heels of the film's release, finally ending his marriage to top Hillary Clinton aide, Huma Abedin; but the timing of the latest Weiner scandal makes the film even more of a fascinating study of raw talent shockingly thrown in the dirt and beaten like a dead horse. We're not just watching a car wreck here, we're watching a 90 car pile-up on the freeway at rush hour. Weiner is at once painful, painfully funny, horrifying, and utterly, completely, depressingly riveting.